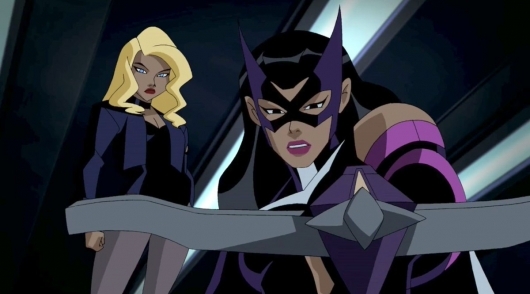 THR says Gugu Mbatha-Raw (A Wrinkle in Time) and Jurnee Smollett-Bell (Lovecraft Country) have tested for Black Canary. Janelle Monae is also said to be in the mix, but it is unclear if she tested for the role. There have been various depictions of Canary throughout the years, but she is best known as a martial arts expert and for her superpowered Canary cry – a high-pitch shriek that can severely damage both organic and inorganic objects. Margaret Qualley (The Leftovers), Mary Elizabeth Winstead (10 Cloverfield Lane), and Cristin Milioti (Black Mirror) have tested for Huntress. Deadline adds that The Mummy actress Sofia Boutella is also being considered, although THR disputes that report. One Day At A Time star Justina Machado tested for the role of Renee Montoya, a lesbian detective on the Gotham City police force. Vida‘s Roberta Colindrez also tested for the role. Finally, the studio is looking to remold Cassandra Cain as a 12-year-old. They are looking for an Asian actress for the part. Deprived of human speech and contact, Cassandra was raised to be one of the deadliest assassins in the world. At one point in time, she assumes the role of Batgirl. A mute with very limited social skills, Cain is well trained in martial arts and the ability to read body language and anticipate opponents’ actions. Warner Bros. is reportedly looking to move quickly and will make decisions on the casting within the next two weeks. The film is scheduled to begin production in early 2019 for a date that has yet to be announced. We will keep you posted on any developments as they come in.